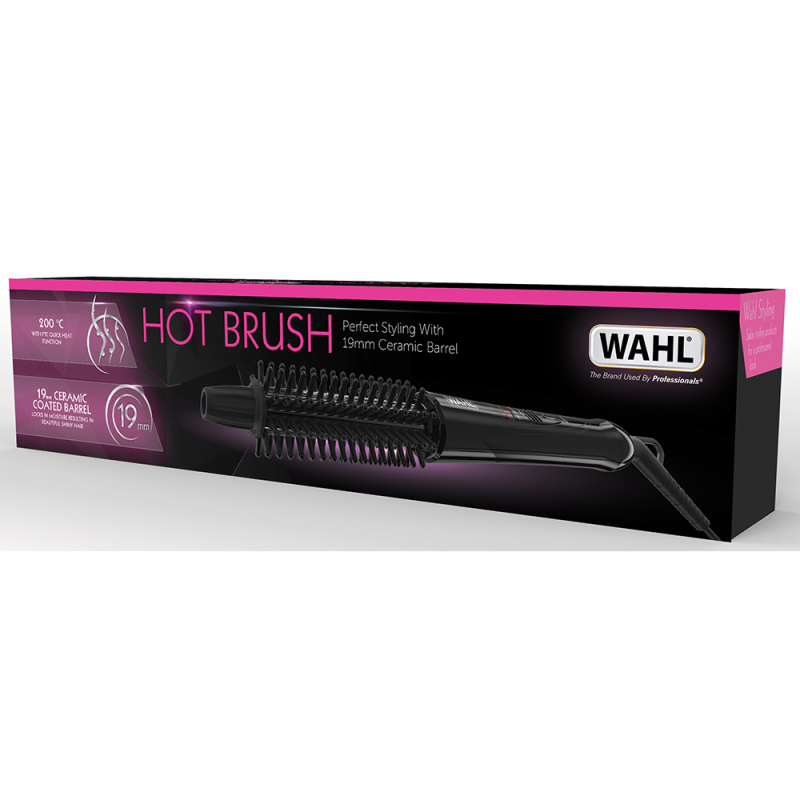 Make your hair look beautiful with this Wahl Hot Brush, specifically designed to add volume, body and silky smooth shine whilst minimising the damage to your hair. Create tighter curls, waves and flicks with long lasting hold in all hair styles with the 26mm ceramic coated barrel. With a top temperature of 200 C we've made sure there's no need to wait around for ages for it to heat up; it's PTC (Positive Temperature Coefficient) quick heat function makes this take no time at all. For functionality we have added a 2.5m, 360 degree swivel cord and hanging loop, making the brush practical and manoeuvrable as well as having an easy hanging storage solution. Plus a cool touch tip for safety and ease of use. 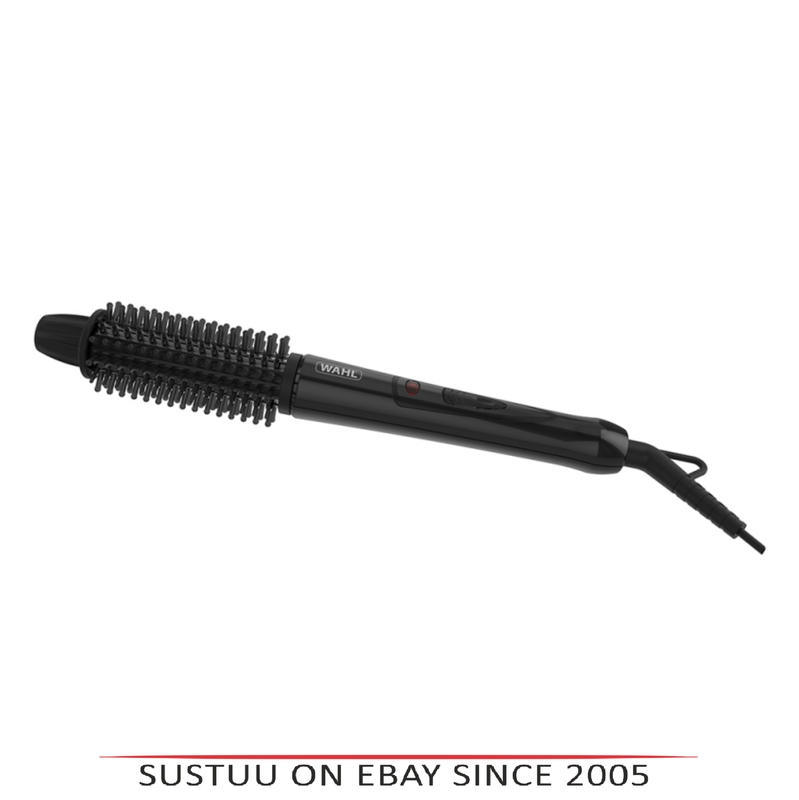 26mm Barrel creates tighter curls and waves in all hair styles. Ceramic coated barrel locks in moisture and helps provide a smooth finish, perfect for creating curls and flicks with long lasting hold. 200 C top temperature with PTC (Positive Temperature Coefficient) quick heat function, speeding up the time it takes to heat up. The 360 degree, 2.5m swivel cord with hanging loop makes this practical and maneuverable with an easy hanging storage solution. Cool touch tip for ease of use.